General practice with specific interest in land use, environmental, property, constitutional, administrative, and commercial litigation. Called to the Nigeria Bar in 1991, Sunday practiced in Nigeria between 1991 and 1994. Held academic positions between 1996 and 2001 at the Botswana Institute of Administration and Commerce, the then Technikon Natal, Pietermaritzburg, the University of Natal, Pietermaritzburg, and Vista University. Worked in policy formulation, legal advisory, legislative drafting and management positions for over thirteen years in the land sector (Department of Land Affairs/Rural Development and Land Reform). Had a lead role in the development of South African spatial planning and land use legislation between 2001 and 2014. 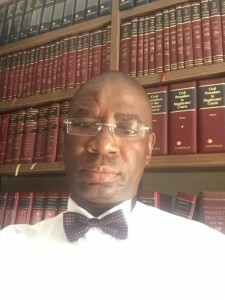 Formerly member of the Sectional Titles Regulations Board between 2002 – 2008 in term of section 54(2)(c)(vi) of the Sectional Titles Act 95 of 1986, and member between 2002 – 2007 of the Deeds Registries Regulations Board in term of section 9(2)(b) of the Deeds Registries Act 47 of 1937.